Agastya Siddha is loved by Kriya Yoga Sadhaks everywhere, for it is he who is the Guru of the immortal Babaji, the peerless Himalayan Avatar. There is a long tradition in yoga that the guru of ones guru, when honored, brings the Grace of the lineage into ones life. Shrouded in mystery, the Siddha Agastya is revered too, by devotees throughout south India. The Siddha reigns over the vast southern mountain forests along the border of Kerala and Tamil Nadu. He is said to have been initiated directly by Yogi Shiva, with whom his soul is merged. Describing events in his life does not reflect his greatness, which can only be understood when he speaks from within. There, one can begin to feel the cosmic ocean of his soul. Nevertheless, our minds and hearts are elevated just by discussing him. Agastya Siddha was born to a Saptarishi, Pulasthya and the beautiful Urvashi. Urvashi held the power of levitation (laghiman siddhi). Her husband, Sage Pulasthya, it is said, heard the prayers of the sick, and traveled astrally to their bedside in order to heal them. He used yantras and tantra and performed untold miracles. He possessed an astral weapon of immense power (Brahma Astra), which could be countered by only one amazing defense (Brahma Danda). It is said that the Sage passed the weapon on to Lord Krishna through Drona, the preceptor of the Pandava Kings in the Mahabharata war. Agastya Siddha and his beautiful Shakti, Lopamudra, performed Tantric sadhana with the Sri Lalita Yantra, and together, won the Grace of Tripurasundari. The great Siddha is known to have spent some years in Varanasi. He had more than one Ashram in north India. In the Himalayas, there is a village named Agastyamuni near Rudraprayag which is a prime candidate. His Nashik Ashram is found on the banks of Pravara River in the town of Bhandardara. Agastyapuri, a nearby village lies on the banks of river Godavari, near Nashik. His wife, some say, was manifested through supernatural power. 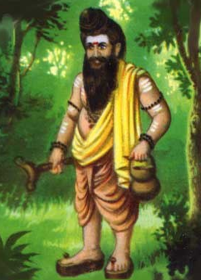 Agastya was a “Kuru” Muni, a Sage who is short of stature. Though short of stature, he was a giant among Siddhas. Agastya’s links to both Shaivism and Vaisnavism are strong. In addition, he was a great Shakti devotee. Like the immortal Babaji, he cannot be reduced to a rule. Agastya and Lopamudra were in the lineage of Tripura Acharyas, devotees of Shri, and were freed from all sins through sadhana and prayer to Tripurasundaris’ magnificent Yantra. The Siddha made massive contributions to the field of Indian astrology (jotish) as well as practical theology. He had the capacity to enter into samadhi at will. Shiva instructed the Siddha to shift to the south, so Agastya migrated to southern India. In those ancient days, the southern lands extended much farther south than they do at this time. Ancient Tamil literature records that a large land mass was once submerged in the ocean. Arriving in the southern regions, Agastya is said to have developed or refined the written language of Tamil, Tamil is the oldest indigenous language in south India, and the mother tongue for many other languages. Many miraculous things are attributed to Agastya. He made contributions to the southern system of medicine (siddha vaidia). According to my guru, Yogi S.A.A. Ramaiah, Agastya and Lopamudra practiced tantra, and the great sage is known to have stated that the most noble way of enjoying bliss is through “lllaramay Nallaram”, that is, considering ones partner as none other than the Goddess Lakshmi. 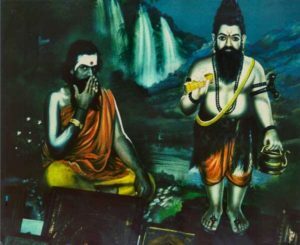 The waterfall where Agastya initiated Babaji has strong Trimurti energy (Shakti) and the Shiva temple at the very spot, is said to have been converted from a Vishnu to a Shiva temple by Agastya ages ago. 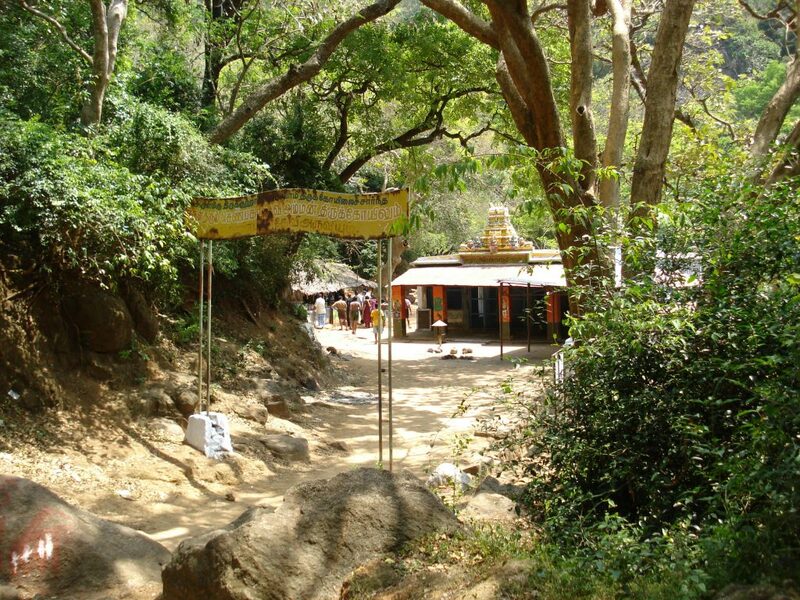 This Courtallam temple is dedicated to Lord Thiru Kutrala Nathar, a form of Shiva, and contains many inscriptions about both Chola and Pandya Kings. His Ashram in the south is reported to have been, or perhaps still is, in or near Agastya Malai mountain, near the border of Kerala and Tamil Nadu. He became the head of the Tamil Sangam, an ancient assemblage of poets and scholars, based in the ancient city of Madurai, and from there, led the council. His notable disciples became great siddhas themselves,, including Rama Devar and Sundaranandar. 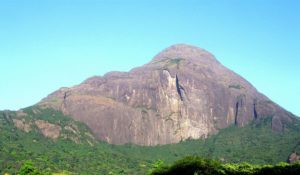 Agastya Ashram is said to have been somewhere on or near Agastya Malai mountain, near the border of present day Kerala and Tamil Nadu. 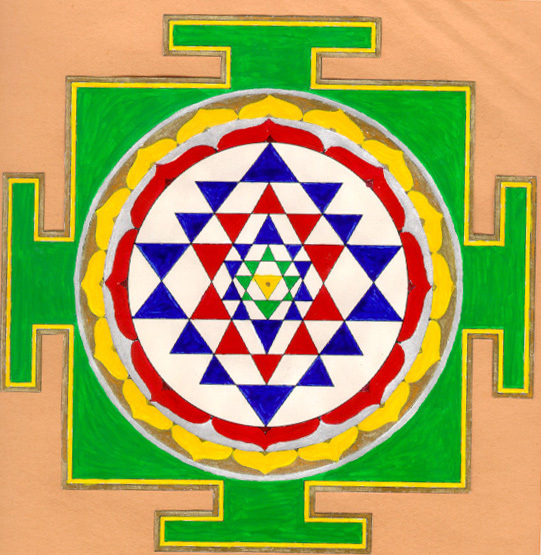 Jeeva Samadhi is the dissolution of the individual soul (Jiva) into the cosmic soul (Shiva). Here, the ego, and all of the Jiva tattvas dissolve into the cosmic ocean, forever to be identified with a wave of the Brahmic ocean. Although it results in physical death to most, it is the beginning of a journey of transformation of the physical cells to a rare few, all chosen by Shiva himself. This experience is sometimes referred to as Sahaja samadhi. This is exactly the samadhi that Agastya experienced at the present site of Kombeswara Temple in Thiruvaduthurai, near Kumbakonam. There, one can even find the samadhi of Agastya. It is an excellent place to do sadhana. We make great progress on the spiritual path when we do sadhana at these sacred spots, sanctified by the divine vibrations generated by the samadhi of such siddhas. The great Sage was destined to surpass even the stellar state of Nirvikalpa Samadhi, as the Godhead led him into the full descent of Divine light, transforming the physical body forever. 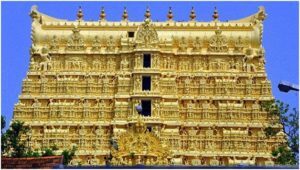 He is said to have achieved the end stage deathless state of the golden body while living (Soruba Mukti) on the south-western coast of Kerala. Drenched in the nectar of his powerful Samadhi experience, the sacred site developed into the famous Padma-nabha-swami temple. The actual age of the temple is not known. It was referred to in the Sangam period of Tamil literature, thought by schollars to be between 500 b.c. and 300 a.d. The actual age may be much older. The temple has been mentioned in many Puranas, including Brahma, Matsya, Varaha, and Skanda, to list a few. It is also referred to in the classical Mahabharata. The wealth of the temple is not limited to its spiritual vibrations and physical beauty, which it certainly has in abundance. Historians and scholars are of the view that the temple was known as “The Golden Temple” in ancient times. This was based on the fact that the temple was already unimaginably wealthy well more than a thousand years ago. 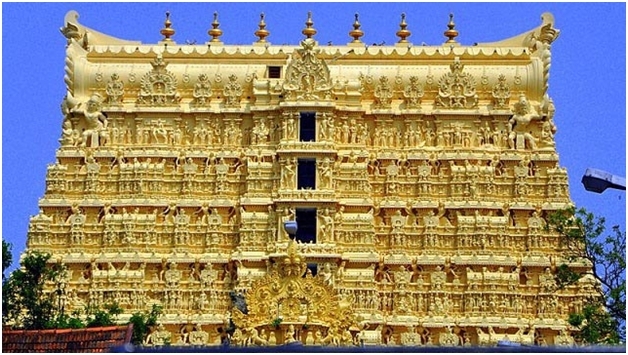 In works of ninth century poet-saints like Namma Alwar, the temple is referred to as having walls of pure gold. In the early medieval Tamil literature Vaishnava saints identify the temple as one of the 108 principal Holy Abodes (Divya Desams) in the grand tradition of Lord Vishnu. The king of Nepal once donated a fortune to develop this temple, bringing gifts on a procession of elephants under a great deal of pomp and celebration. In more recent times, around 1750, the Maharaja of Travancore, Marthanda Varma, offered his sword at the feet of Lord Vishnu, symbolic of his dedication. He, in fact, dedicated his entire kingdom to the protection of the temple. Since that time, the rulers of Travancore have functioned as caretakers of the temple, adopting Vishnu’s conch as their symbol of authority. The assets of this sacred temple have been examined by representatives of the Supreme Court of India. Many vaults exist in and under the temple itself. A public report to the court has established that the riches of the temple, mostly gold and gems, have a monetary value of $18 Billion U.S. This does not take into account the antique and cultural value of these items, which are believed to increase their value ten fold. These riches are thought to be an accumulation of donations reaching back several thousand years. Items from ancient Rome and Mesopotamia are found in the horde. This establishes the temple as the most wealthy spiritual site in the entire world. Little wonder that entrance is guarded closely and that all gates are flanked with armed military units. The gold plated Goparam tower of the “Golden Temple” is so wide that the height appears lower than its many levels suggest. The Padma-nabha-swami Temple, where Siddha Agastya attained his ultimate state, is today rightly one of the most protected temples in all of India. All bags are scanned for cameras, as they should be, and individuals who have them, risk being barred from entry indefinitely. No one should enter who is not dedicated to the Divine. Pilgrims from western countries, whether swamis, yogis, or devotees, are particularly scrutinized, and each is interviewed to determine their legitimate place in Santana Dharma. One should be accompanied by their guru or be able to describe their guru lineage and have documentation on letterhead from an established ashram, stating such information clearly. All the usual prerequisites, such as wearing a dhoti and avoiding any covering above the waist for men, should be attended to. For women, wearing a sari is strictly required. This helps to maintain the proper energy of the temple and grounds. Once overcoming this gauntlet of tests, the devotee, entering the temple. is in for a treat. The temple and process are very clean and highly ordered. The ornate carvings on the 350 granite columns which support the roof, display a high level of artistic skill and, due to their granite construction, will amaze for generations to come. The images depict scenes from the Puranas, including yogis, animals, and the performance of the tasks of everyday village life in ancient times. At least one carving depicts a sadhu with an erection, which seems to harken back to the ancient Lakulisha Shiva tradition, revealing the great antiquity of the temple. 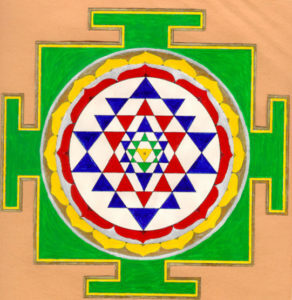 The image demonstrates the creative energy available to the yogi or tantric who recirculates the tejas within the ojas, an important technique in Tantra. The granite portions of the temple are in the Chola style. The roof is plated with gold, as is the symbolic flagpole. 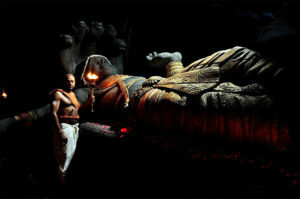 A Brahmin Priest stands before the Reclining Vishnu – A popular form of Lord Vishnu found in several massive South Indian Temples, including Sri Rangam, and Padma-nabha-swami Temple. Purchasing special darshan tickets for 500 rupees offers a much quicker access to the sanctum sanctorum. Approaching the inner chamber from the north, one views Lord Vishnu from the east, The massive Hari gives darshan as he rests in the reclining pose upon the body of the primordial serpent with five heads (Anantha Naga) This magical serpent assisted the celestials in gaining the elixir of immortality. Three and one half coils of the serpent reminds us of this well known description of kundalini shakti at the base of the spine. The five hoods represent the five elements and the five senses. The Anantha Shayanam posture of Vishnu upon the serpent Adisheshan represents the eternal yogic sleep resting upon the king of all nagas, the awakened kundalini. Shiva is present as well, in his immortal form of a Lingam, situated near Vishnu’s outstretched right hand. Vishnu must surely be 12 feet long and glistens with gold leaf. His two divine consorts, (Sri Devi and Bhuma Devi), stand by his side. The three doors, which open to reveal the massive Lord, represent the three stages of time; past, present, and future, and are covered with silver. Devotees walk slowly past, soaking in the view from each of the gleaming doors. The Divine can only be understood when viewed in timelessness, beyond the three divisions (kalas) imposed by Mahamaya. The energy is highly electric and the spiritual heart (hridaya) within ones breast is activated, due to the divine vibrations, thus placing the devotee in an elevated state. While the seed power of this temple comes from the Samadhi of Agastya at the site ages ago, the energy has been carefully nurtured and intensified by the inclusion of Puja with mantra, the sincere devotion of millions, and the presence of 10,008 Shalgrams, representing Lord Vishnu, which were brought from the Nepali Himalayas in ancient times and used to form the outer covering of the moorthy itself. The blessings of Maha Vishnu at this great Siddha Shrine are beyond description. Visiting the temple and completing the darshan in wonderment, I and my pilgrimage partner, were pleasantly surprised and pleased to receive a very unique can of pudding (yes, pudding!) with an attractive label showing the reclining Vishnu. Such a novel prasad I have not seen in nearly 50 years of visiting temples throughout India. We then passed through the sacred open spaces of the courtyard, flanked by beautiful stone carvings, as we lovingly clutched sandalwood powder and other prasad. We felt spiritually wealthy indeed, for we were still under the spell of the intense spiritual vibrations of Lord Vishnu. Jai Jai Vital ! 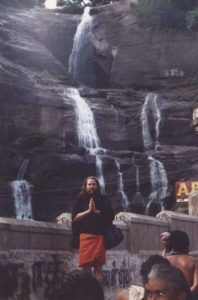 Residing with his equally powerful Shakti, Lopamudra, the divine couple moved mostly between the wilderness around Courtallam and the present day Neyyar Wildlife Sanctuary, father south. Between the two, nestled deep in the forest, lies the remote village of Agastya Malai. This village, with the Siddhas’ namesake, lies in the area where he and his Shakti have roamed for many bygone centuries. Supremely free, these Siddhas are believed to move through the mist of the forest even today. Some say that, like the Mahavatar Babaji and his eternal partner (nityapriya) Mataji, Agastya and Lopamudra have retained their physical bodies for the benefit of humanity, though few elect may view their golden bodies. They will, however, respond to any sincere call for help anywhere on earth and in the heavens. There is absolutely no doubt about that! They are the ultimate tantrics, who saw the divine in each other and rode that vision to the highest reaches. Thus, their physical union did not debase their consciousness, but rather lifted it up to the supreme heights of God and Goddess union, and the conscious union of all polarities. Even the Devas serve such Siddhas, for the Dharma transcends all things. Agastya initiated a youthful Babaji, providing him with the core technique of Kriya Kundalini Pranayam, which led to his attainment of the lofty state of Soruba Samadhi. The initiation of Sathguru Babaji has been described in some detail by my Guru, the celebrated Tamil Kriya Yoga Master, Yogi Ramaiah, for whom I spent 20 years in direct contact and service. In the 1980’s, Yogiar allowed me to record on audio tape a series of events related to the great Sathguru, which he called “Babaji Stories” and to which he narrated orally to me. I am drawing from that source for this report, as well as from other existing traditions, so that rare facts about Babaji and Agastya may be known to a wider audience. The author at Coutallam Falls, the site where the Great Mahavatar Kriya Babaji was initiated into Kriya Yoga by Sage Agastya many centuries ago. In the early part of the second century of this common era, Babaji had just completed tapas in Kartirgama, Sri Lanka, where, under the inspiration of the Siddha Boganathar, he had attained the state of nirvakalpa samadhi. During that period of sadhana, he had become aware of and aspired for, initiation into the Kriya process (kriya diksha) in order to bring that state of omnipotent oneness into the lower planes (soruba samadhi). Migrating under the guidance from Bhogar to the pristine falls of Courtallam, he sought diksha from Agastya. He continued his intensive yogic sadhana, determined to do so, without food or water, until Agastya appeared or until he, Babaji, had perished from dehydration, or from the physical stress of the effort. Yogiar described how Babaji did sadhana until his bodily organs were near collapse. He was determined to win the Grace of Agastya or die. As his life force ebbed, he moved in and out of consciousness and was nearing physical death when the great master, Agastya, appeared. Agastya then gave him the seminal technique of Kriya. Babaji recovered his health, and shifted again to a remote cave in the Himalayas. Five years later, he emerged from that remote cavem his golden body burning with the fire and light of immortality (soruba samadhi). Agastya lived for centuries in the area above the main Courtallam falls. For those who would like to follow in his footsteps, a trek through the jungle path that leads to his cave complex is well worth the effort. Do not start late in the day, however, as the trail becomes quite dark early. A flashlight is recommended. From the side of the falls, a trail leads around and above the cascading water, and through the jungle for about three km. Trekking through the brush and under small trees, I was surprised in due course to discover an opening in the jungle, and the presence of a small but very quaint Shakti temple, the Shenbaga Devi Amman Temple. (see photo above) The energy around the temple was magical. The temple is a prime place to do sadhana. Continuing the trek upriver, one ultimately reaches an area by the river below the trail and to the right which contains the ancient cave complex. The cave opens into several rooms where sadhus reside and practice their yoga. My travel friend and I approached humbly, and the sadhus graciously invited us in. One room seems to be strictly for sadhana and with the sadhus permission, we offered our Kriya Kundalini Pranayam and a long, deep meditation, which we dedicated to the great Agastya. My pilgrimage friend and I were blown away by the energy. When we finished our sadhana, the sadhus were preparing for a puja, to be offered to several siddhas, including Agastya. When the sadhus invited us to join them, we were delighted. The moorthy of Agastya was fabulous, both in terms of art and the energy that it projected. It literally came alive. The sadhus there informed us that during the last half of the 20th century, two saints, including one lady saint, performed high level tapas, and lived in a very small adjoining cave room. That adjoining cave room was cage-like, not tall enough to stand up in, but having just enough space to lie down and to sit up to do pranayam or mantra. The sadhus said that each of these saints performed mantra sadhana and observed silence (mouna yoga) for more than a year. The resident sadhus were pleased to feed them. Serving a saint in tapas is one of the most sacred acts one can perform in the physical plane. The energy of the caves was beyond description, not only due to Agastya and Lopamudra, but due to so many centuries of spiritual practices by untold Yogis. Completing this trek is not easy, as there seems to be a not-so-subtle force that makes finding these caves difficult. Sincere souls who begin the journey should persist. Later that night, we descended down the mountain trail, with only the full moon to guide us, and I could not keep thinking about how amazing the day had been and reflecting on the fact that I had been literally retracing the very path upon which the great Siddha, Agastya, had tread as he was pulled toward the youthful Babaji, who yearned so sincerely for his diksha. In his writings, Agastya expresses many spiritual truths, pointing out principles that stand in the way of growth, particularly attachment. He often expressed a wry sense of humor. He makes the statement that some men, while visiting temples are absorbed more with finding women and thus are “like the cat who thinks of dried fish only,” Agastya’s expectations are on a high order. He writes, with criticism touched with humor that “Some men on their deathbed think only of their attachments” and pokes fun at the limitation of those who attend spiritual functions for pure social reasons. Agastya was edgy, just like most of the siddhas. He did not suffer fools. and railed against hypocrisy, including elements of the priesthood and “spiritual posers”, with biting statements mixed with humor and compassion. Agastya has played and continues to play a vital role in the Kriya lineage. The great Paramahamsa Yogananda refers to Agastya in the magnus opus, without identifying his relationship to Babaji. The hills above Courtallam falls are magical, and there are many secrets to be unwrapped in the trails around them. For those who are not called by the inner voice, it is better to stay jn place and do sadhana. All glory to Siddha Agastya and his Mysterious Shakti, Lopamudra Devi! Om Shanti. Interested in Kriya taught by Swami Ayyappa Giri? Find out when and where the next Initiation will be held on our Facebook page or by contacting the Ashram through e-mail. Training will be given at Yogini Ashram, California and near Rishikesh, India in the coming months. This post may be reproduced wholly or in part with the provision that the source is cited as Yogini Ashram.